Boys and girls ages 4 to 6 will jump into reading with Nickelodeon's PAW Patrol! 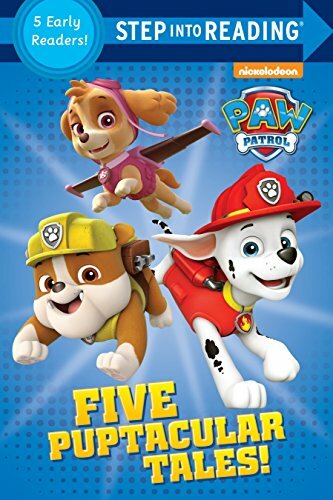 This collection features five Step into Reading leveled readers: <i>Chase Is on the Case!</i>, <i>Rubble to the Rescue!</i>, <i>King for a Day!</i>, <i>Pit-Crew Pups!</i>, and <i>Chase's Space Case!</i> Step 1 Readers feature big type and easy words. Rhymes and rhythmic text paired with picture clues help children decode the story. For children who know the alphabet and are eager to begin reading. Step 2 Readers use basic vocabulary and short sentences to tell simple stories. For children who recognize familiar words and can sound out new words with help.